Byakuya works and fights alongside his "sister", Tsukuyomi. They refer the Hollow Night as the "Nest" where they hunt the preys who get caught in the web they've set up. Byakuya is told to be fighting to fulfill Tsukuyomi's wish. Tsukuyomi refers to Byakuya as her "sword and shield". It is later revealed in Byakuya's ending that he was only "pretending" to be Tsukuyomi's brother the whole time, but he will continue to fight for her. Where have I seen this guy before? 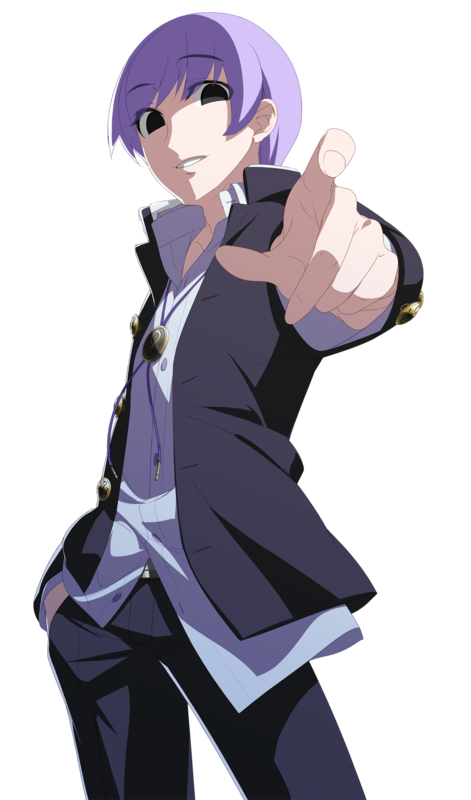 ...Ohh yeah, Yu Narukami from Persona 4 Arena. -__- Indeed, Byakuya isn't winning any originality points in terms of visual / costume design. 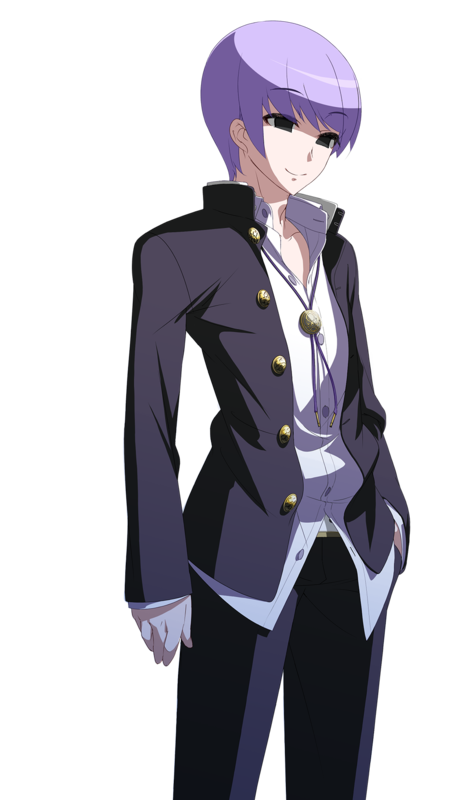 They could've at least used one of his cooler-looking alternate colors for his main design... why they went with the most boring one? Maybe to appeal to Japanese schoolboys who have to wear those clothes? lol. Who knows. Anyhow, Byakuya's fighting style is pretty original. 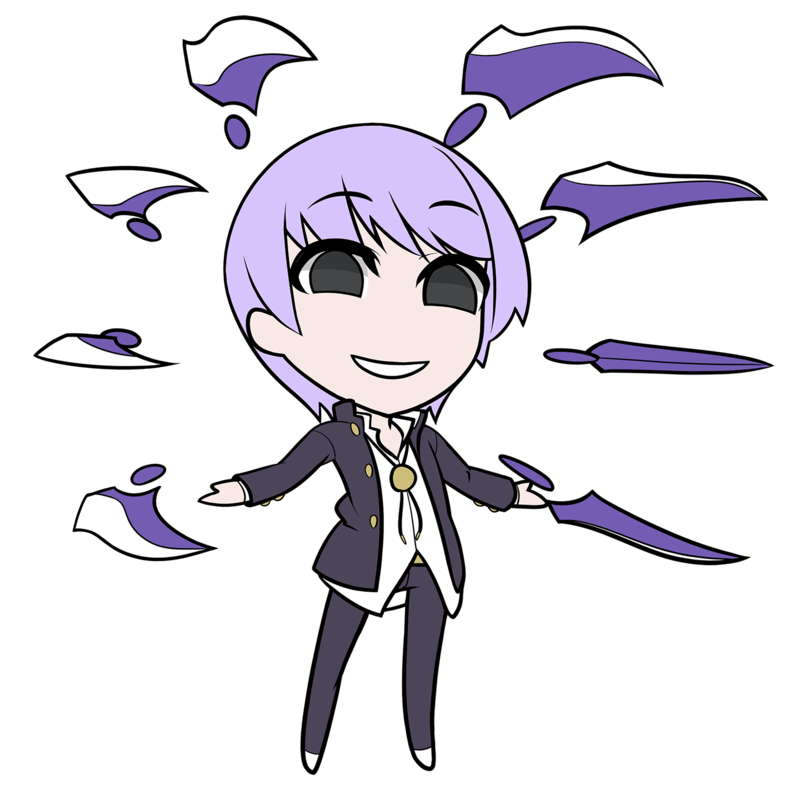 Aside from extending & spinning those magical blades all over the place to cut up his enemies, Byakuya's play-style is all about placing "webs" on the screen for his enemy to get caught in. Damn, Capcom should've thought of that idea with Spiderman in MVC (not just in his supermove)! 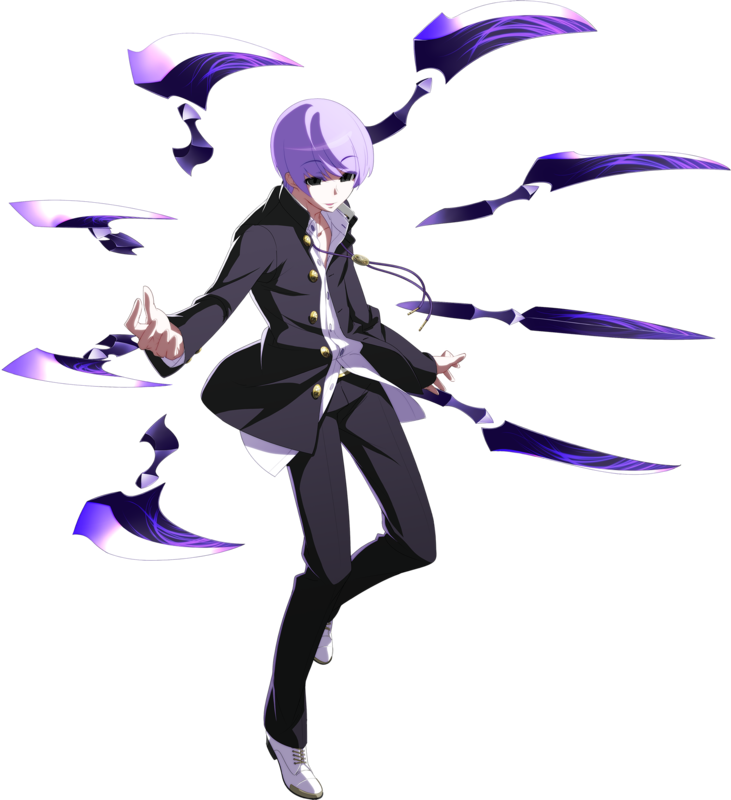 That said, Byakuya is pretty fun to use and has some decent mix-up options, but he's also a bit more "gimmicky" than other UNIEL characters. I wish he had a few more interesting moves on his moveset... but otherwise, he turned out to be more interesting than I originally thought.